This is the ultimate trip for anyone ever involved in JSU or NCSY. Experience Israel like never before, while reuniting with old friends and meeting new people from across North America. Summer Registration now OPEN! Click here to apply now. It’s commitment-free and takes just 10 minutes. From hiking along breathtaking views to tasting authentic Israeli cuisine; riding camels in the starry desert to connecting with Jerusalem – do it all here with Americans and Israelis your age! Participants come from a wide-spectrum of the community, so yes you will fit in. This is a judgement-free trip, so just be yourself! *These trips are open applicants from the USA & Canada. Indulge yourself – This is Israel Free Spirit, and your adventure starts here. Questions? 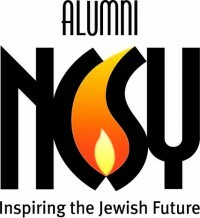 Email Shira at epsteins@ncsy.org or Contact us with “NCSY Alumni” in the subject line.